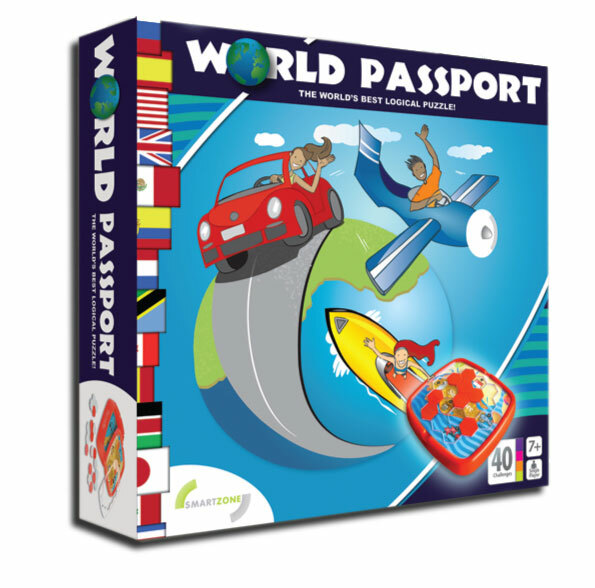 World Passport is a wonderful way to develop critical thinking, problem solving, and visual perception skills in your child, taking them on an exciting and educational journey around the world. Perfect for home and travel, with built-in compartments for game components. World Passport will keep players stimulated for hours with a range of 40 multi-level challenges, from beginner to master level. Ages: 7 years +, 1 (single) player. 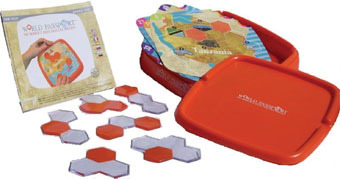 A single player puzzle - keeps kids stimulated and entertained for hours. If you would like to order the World Passport direct, please click on the icon. For bulk pricing options, please Contact us with details of your request.